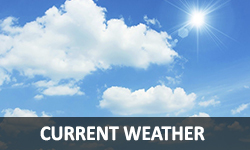 Everyone understands the importance of yacht captains and crew in the great circle of yachting. 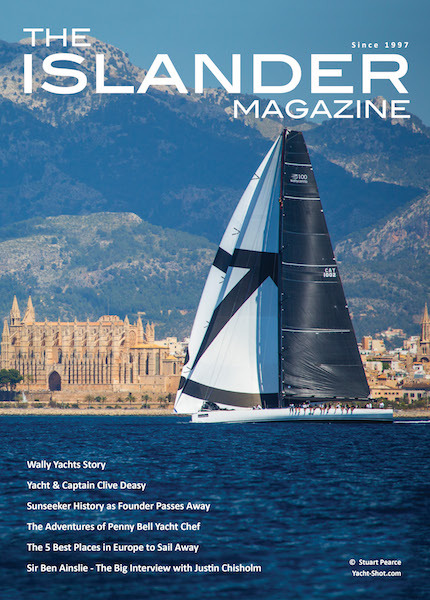 Certainly, even some venerable groups and business including Fraser Yachts and the International Superyacht Society have long made crew recognition a cornerstone of their own business outreach. 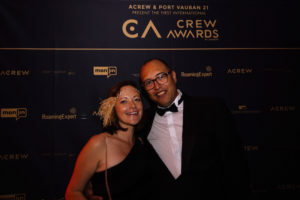 It’s taken the very innovative and creative Abi Wallace, founder of ACREW, to finally take crew recognition to the level it deserves – and as always with ACREW events, it took off with verve, panache and honored crew in the best possible yachting style. 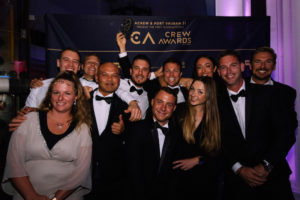 The inaugural 2018 Crew Awards by ACREW was held in Nice, France on October 13th , in partnershp with Port Vauban. Befitting the Art Deco location of Le Palace, the theme was Great Gatsby, and the almost three hundred attendees were dressed very elegantly in feathers, pearls, top-hats with tails, plenty of glitter and even a few captains stripes. Seventeen crewmembers, captains, yachts received their due honor as exceptional team members in categories including Leadership, Courageous, Teamplayer, Sustainability and the full range of crew positions from Captain Master Unlimited to ETO, Engineer, Deck, Stew and Purser, Best Charter and Best Private Yacht. 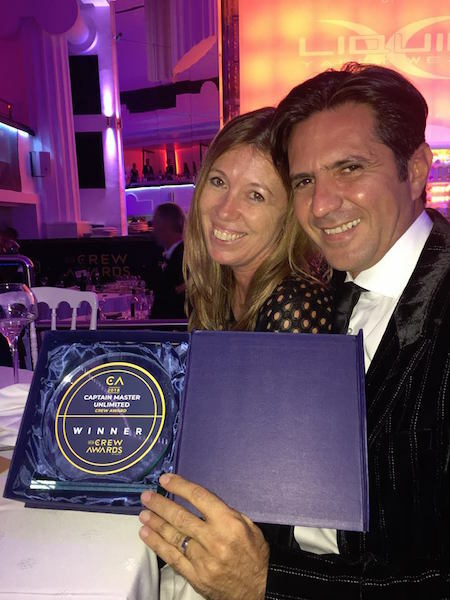 The support and enthusiasm of their fellow crew peers was truly inspirational, with over 170 crew nominated for the 17 award categories, more than 10,000 votes received, and thirty judges from all yachting disciplines weighted in to select the final winners. The awards themselves were received with bated breath from the entire audience, followed by warmly sincere cheers and thunderous rounds of applause. The Crew Awards showed the diversity of our industry. Sometimes thought to be a “boys club”, with an incredible and aspirational total of 47 female finalists and many winners reflects that women lead in all aspects of yachting. The included Capt. Carol Benbrook and her First Officer Jenny Matthews of yacht “S” as finalists in Captain Master 3000 Ton and leadership, Natalija Tascijeva of Grand Rusalina for Courageous, and all three finalists of the Sustainability award were women, showing than when it comes to helping our Mother Earth, yacht women rule – and Marlies Sanders of Shogun as winner of the First Officer Crew Award definitely demonstrated how she’s at the top of her game. The list goes on and on, all winners and finalist so deserving of their wins should be fêted and congratulated throughout the year! 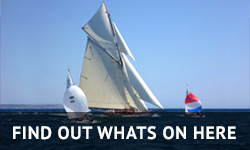 Needless to say, no event of the magnitude would be possible without the support and participation of sponsors, who work with ACREW year-round to provide a huge array of valuable and enjoyable crew seminars, destination and social activities worldwide. Thank you to all of them! Finally, The Islander, as sponsor of the Captain Master Unlimited Award, would particularly like to congratulate the winner, Capt. Rafael del Cervantes Metaix of yacht Azteca. 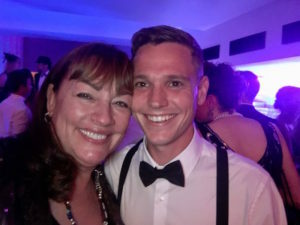 Author Norma Trease is a well-known figure in the yachting world, and represented humanitarian and environmental group Yacht Aid Global, presenters of the Sustainability Award.